$15k Below Appraisal AND Rare 4-Car Garage! Single-level, one-owner Jackson Properties home features a 4 bedroom/2.5 bath split floor plan full of natural light; Elegant foyer opens into living room and dining areas with panoramic view of sparking pool and waterfall; Spacious kitchen boasts dual ovens, center island w/breakfast bar, cabinets galore, and eat-in dining; Large Family Room; Master Retreat w/private exit to pool, soaking tub, shower, dual sinks, make-up vanity, and a large walk-in closet worth envy. Wood window sills/custom blinds/shutters throughout. Garage has epoxy floors, built-in cabinets/work bench. Laundry w/sink & cabinets. This beautiful community offers over 2 miles of walking paths, green belts, park, lakes, close to the 101, P83 and Peoria/Glendale Sport Venues. Approximate size: 10763.00 sq. ft. Please, send me more information on this property: MLS# 5902843 – $495,000 – 21106 N 70th Drive, Glendale, AZ 85308. 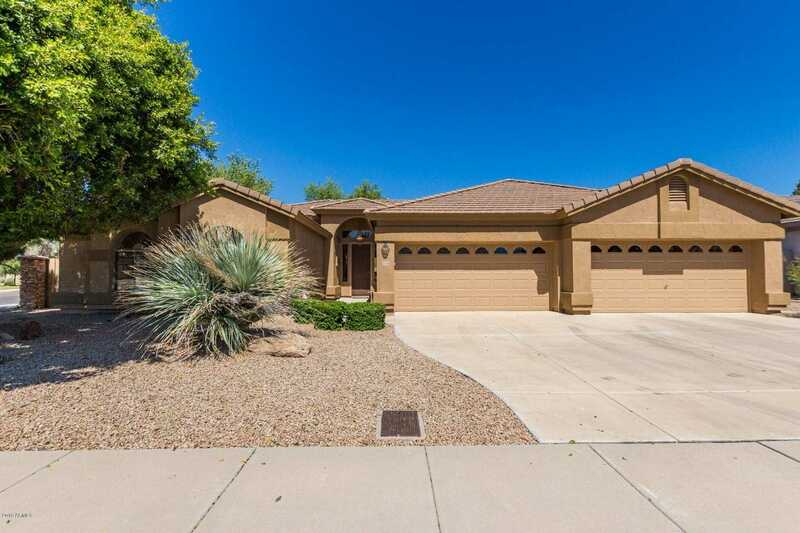 I would like to schedule a showing appointment for this property: MLS# 5902843 – $495,000 – 21106 N 70th Drive, Glendale, AZ 85308.